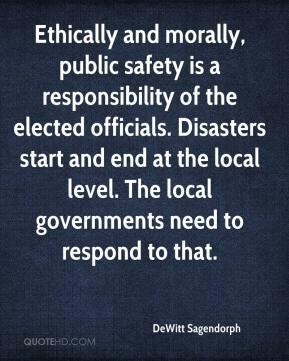 Ethically and morally, public safety is a responsibility of the elected officials. Disasters start and end at the local level. The local governments need to respond to that. 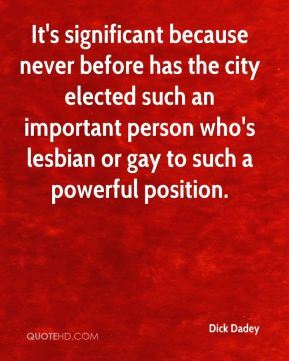 It's significant because never before has the city elected such an important person who's lesbian or gay to such a powerful position. 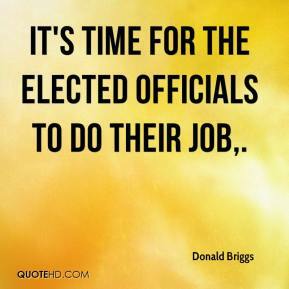 It's time for the elected officials to do their job. 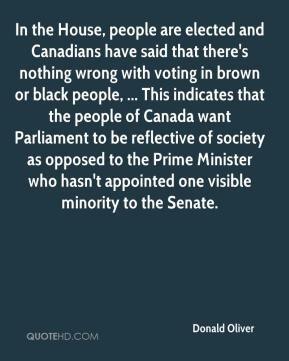 In the House, people are elected and Canadians have said that there's nothing wrong with voting in brown or black people, ... This indicates that the people of Canada want Parliament to be reflective of society as opposed to the Prime Minister who hasn't appointed one visible minority to the Senate. I think it's important that you know where I stand, what I believe and what may happen before I'm elected, not after you elect me. 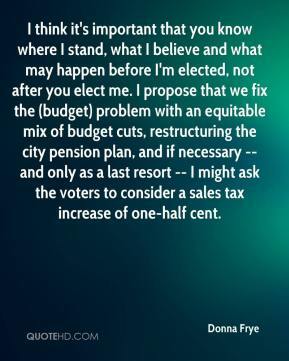 I propose that we fix the (budget) problem with an equitable mix of budget cuts, restructuring the city pension plan, and if necessary -- and only as a last resort -- I might ask the voters to consider a sales tax increase of one-half cent. We hope and believe we have elected the next president of the United States. 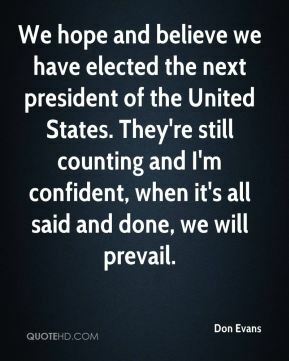 They're still counting and I'm confident, when it's all said and done, we will prevail. 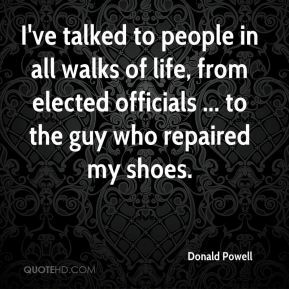 I've talked to people in all walks of life, from elected officials ... to the guy who repaired my shoes. And devious. 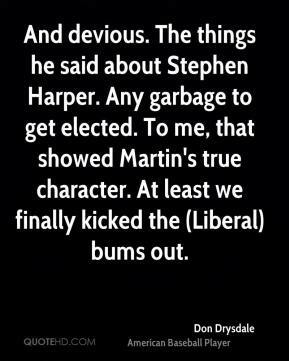 The things he said about Stephen Harper. Any garbage to get elected. To me, that showed Martin's true character. At least we finally kicked the (Liberal) bums out. He suits the consensus form of government that this community likes. 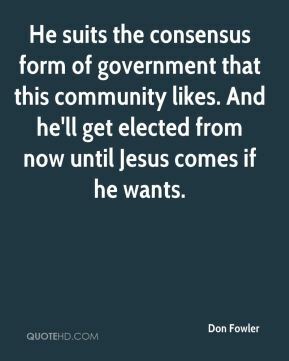 And he'll get elected from now until Jesus comes if he wants. What he?s done is reverse his base. 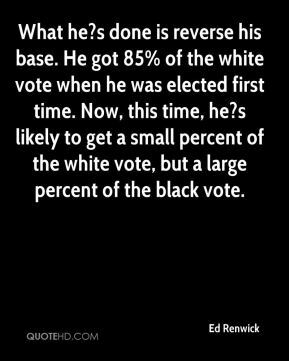 He got 85% of the white vote when he was elected first time. Now, this time, he?s likely to get a small percent of the white vote, but a large percent of the black vote. 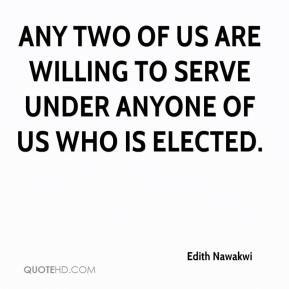 Any two of us are willing to serve under anyone of us who is elected. 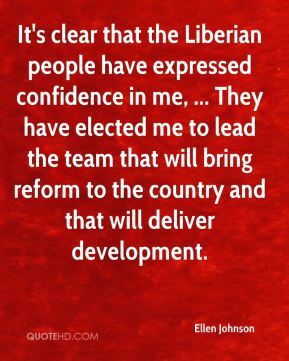 It's clear that the Liberian people have expressed confidence in me, ... They have elected me to lead the team that will bring reform to the country and that will deliver development. 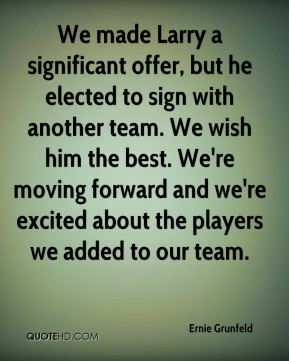 We made Larry a significant offer, but he elected to sign with another team. We wish him the best. We're moving forward and we're excited about the players we added to our team. But it's not that nice and easy and smooth. 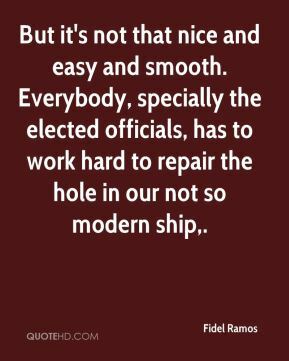 Everybody, specially the elected officials, has to work hard to repair the hole in our not so modern ship. 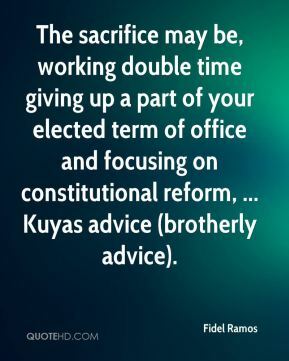 The sacrifice may be, working double time giving up a part of your elected term of office and focusing on constitutional reform, ... Kuyas advice (brotherly advice). 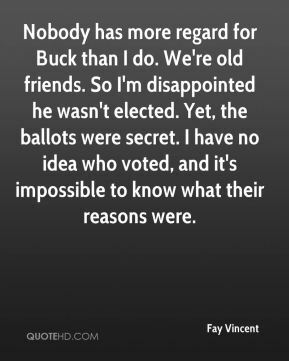 Nobody has more regard for Buck than I do. We're old friends. So I'm disappointed he wasn't elected. Yet, the ballots were secret. I have no idea who voted, and it's impossible to know what their reasons were. 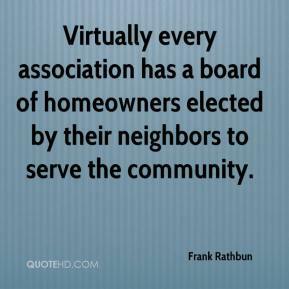 Virtually every association has a board of homeowners elected by their neighbors to serve the community. 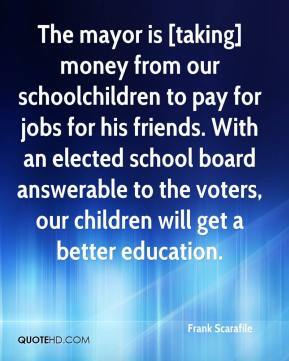 The mayor is [taking] money from our schoolchildren to pay for jobs for his friends. With an elected school board answerable to the voters, our children will get a better education. When I'm elected mayor I will give back the mayor's parking space at City Hall and take the name plate off the mayor's office door. 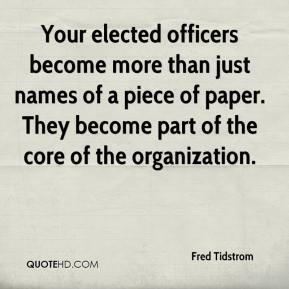 Your elected officers become more than just names of a piece of paper. They become part of the core of the organization. 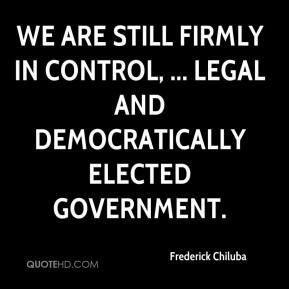 We are still firmly in control, ... legal and democratically elected government. 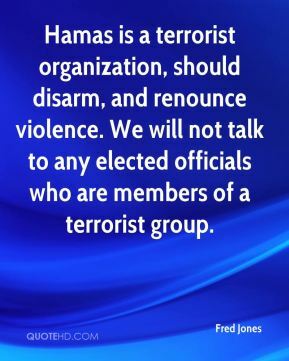 Hamas is a terrorist organization, should disarm, and renounce violence. We will not talk to any elected officials who are members of a terrorist group. 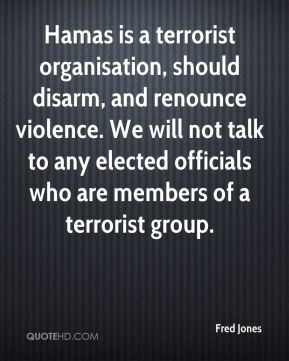 Hamas is a terrorist organisation, should disarm, and renounce violence. We will not talk to any elected officials who are members of a terrorist group. This is not his fault; he was not ready. 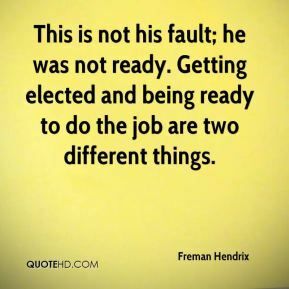 Getting elected and being ready to do the job are two different things. 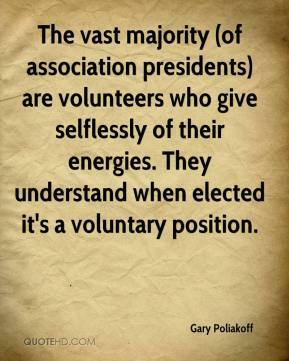 The vast majority (of association presidents) are volunteers who give selflessly of their energies. They understand when elected it's a voluntary position.